Detroit Baptist Theological Seminary » Should We Doubt Young Earth Creationism? I’ve noted before the challenge of determining the importance of doctrines. One issue often debated by current Christians is the significance of young earth creationism (YEC). Under the impression that advocates of YEC place too much weight on the issue, many evangelicals push back by minimizing the issue. A recent example comes from Justin Taylor (one of the better and more prolific Christian bloggers today). Using his post as a basis for discussion, I’d like to address four underlying arguments in Taylor’s post that relate to doctrinal significance. Taylor begins his post by arguing that “the Bible nowhere directly teaches the age of the earth,” contrary to what YEC proponents supposedly imply or claim. Instead, YEC “is a deduction from a combination of beliefs.” Taylor then offers 5 beliefs that supposedly are used to build the case for YEC. Without fully addressing the accuracy of his five points (e.g., the first is not held by many YEC adherents), I’d like to focus on Taylor’s purpose for mentioning this: “These five points may all be true, but I think it’s helpful to understand that the question ‘how old is the earth?’ is not something directly answered in Scripture but rather deduced from these and other points.” In other words, people should not hold too dogmatically to YEC since it is not a direct statement of Scripture but a matter of deduction. At first we might be inclined to agree to this argument. After all, our logical deductions may be incorrect, whereas the direct statements of Scripture are never incorrect! But upon further reflection we can see the flaw in this argument. Many doctrines that we hold dogmatically are not directly stated in Scripture but are deductions from a combination of ideas. For example, John Frame points out the doctrine of the Trinity is the combination of these assertions: “(1) God is one. (2) God is three. (3) The three persons are each fully God. (4) Each of the persons is distinct from the others. (5) The three are related to one another eternally as Father, Son, and Holy Spirit.” (Systematic Theology, Kindle location 11773). The hypostatic union (relationship of Christ’s two natures), sola scriptura, and other key doctrines are also the result of biblical deduction rather than direct statement, including another doctrine Taylor mentions several times in his post—the doctrine of inerrancy (e.g., the whole Bible is inspired/breathed-out by God, and God cannot speak falsely or make an error, therefore the whole Bible is without error). This does not mean that YEC is on the same level as the doctrines of Trinity or the person of Jesus Christ, but it does mean it’s not automatically excluded from that level of significance because it lacks a direct statement from Scripture. (If it were a series of deductions drawn from other deductions things would be different). Taylor goes on to offer another “surprising” bit of information: “some of the great stalwarts of the faith were not convinced of this interpretation [literal days].” Ironically, after arguing against the idea that the idea of 6 literal days did not lose favor until after Darwin, Taylor supports his point by quoting from 4 of 5 theologians who came after Darwin (5 of 6, if you include his reference to Warfield who, despite what Taylor seems to believe, came after Darwin). 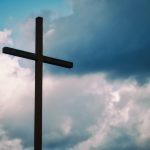 Why mention what other Christians have believed? One reason is that the importance of a doctrine is connected to its historical position among Christians. If the church has historically recognized something as true and important we should be extremely careful with modifying or denying it, while if the church has historically been divided on an issue we should be careful about being overly dogmatic about it. Thus, Taylor’s argument is that the fact of biblical Christians denying or downplaying YEC shows it should not be overemphasized. Yet two matters are worth noting. The first is that YEC is favored by history, especially among those who seek a literal understanding of the Bible. Apart from earlier Christians (and Jewish rabbis) who favored allegorical interpretations of the Bible, six-day creation and a young earth was the dominant position among early Christians and especially among the reformers until the 19th century. So the importance of YEC is actually strengthened by a proper understanding of its historical position. Another reason Taylor mentions that “the great stalwarts of the faith were not convinced of this interpretation [literal days]” is because he wants to emphasize that their failure to embrace a literal 6-day interpretation did not lead them to heresy. “In some segments of the church, I fear that we’ve built an exegetical ‘fence around the Torah,’ fearful that if we question any aspect of young-earth dogmatics we have opened the gate to liberalism. The defenders of inerrancy above show that this is not the case.” Taylor highlights this fact because one way of determining the significance of a doctrine is to determine what impact its denial has on other key doctrines. 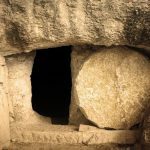 As I’ve pointed out before, denying the bodily resurrection of believers effectively denies the bodily resurrection of Christ, which demonstrates the significance of the bodily resurrection of believers. If one can deny YEC without undermining inerrancy then perhaps YEC is not that significant. Again, however, the matter is more complex than Taylor implies. We don’t always recognize the implications of our beliefs, which leads us to be inconsistent in the positions we hold. It is possible for someone to deny A and hold to B, even if denying A logically denies B (e.g., the above example where the Corinthians denied the bodily resurrection while affirming Christ’s bodily resurrection). So those who deny YEC and affirm inerrancy may actually be inconsistent—perhaps they don’t see how their denial of YEC undermines inerrancy. I’m not (right now) arguing that denying YEC undermines inerrancy (see Mohler address that concern here), nor am I questioning the allegiance to inerrancy of the men Taylor mentions (as a general rule, it’s best not to condemn people for the implications of their position if they explicitly deny those implications). I’m simply pointing out that the fact that someone holds to inerrancy while not affirming YEC does not in itself demonstrate that YEC is therefore not significant (anymore than the fact that someone holds to inerrancy while not affirming complementarianism means it is not significant). The bulk of Taylor’s post offers 5 “biblical reasons to doubt young-earth exegesis.” I won’t address the arguments themselves (the first, as I already briefly noted, is irrelevant, and the rest more or less follow the framework theory ably critiqued by McCabe here and here). Rather I want to consider the underlying argument: because there are biblical reasons to doubt this position, we should not be too dogmatic about it. This raises the question of clarity in considering doctrinal significance. Whenever we are deliberating about doctrinal matters, we must keep ourselves rooted in the text, as Taylor notes: “[our] passion for sola Scriptura provides us with the humility and willingness to go back to the text again to see if these things are so.” That means we have to evaluate appeals to the Bible that are offered in opposition to our position. But the presence of opposing “biblical” arguments does not necessitate doctrinal indifference. Most heresies have some sort of “biblical” argument supporting them—including appeals to Matt 16:18 to support the papacy or to John 10:16 to support the Book of Mormon. In other words, not every biblical argument is sound. For example, I remember a discussion I had with some folks about a prominent evangelical theologian (who affirmed inerrancy) who defended his support of a speaker who denied inerrancy by appealing to the speaker’s interpretation of 2 Tim 3:16 as meaning “every Scripture that is inspired by God is also profitable”—a possible exegesis of the passage. Since the speaker came to his position in light of his exegesis we should not fault him. In the discussion of how to respond to this argument, one of the better responses given was this: the speaker may claim that is what 2 Tim 3:16 means, but he is wrong. The proper exegesis of the passage recognizes that Paul is claiming that all Scripture is inspired by God, so the speaker should be held to account for his flawed understanding of Scripture. We should not minimize inerrancy because of other people’s wrong exegesis. To summarize: when considering doctrinal significance, we should take into account the four issues Taylor raises. While none of them are sufficient in themselves to determine how important a doctrine is, in combination they can help us work towards an answer. As you’ve probably picked up through my discussion, after considering YEC in light of these four areas, I feel no impetus to doubt the creation days were 24 hour periods. Though there is no direct statement of Scripture, there are direct logical/theological deductions from Scripture that support it. It was the historic position of believers, especially of those more committed to a normal (as opposed to allegorical) hermeneutic. There are some significant implications for denying YEC, and it matches with the best exegesis of the relevant passages. So, while I don’t think denying YEC means a person is not a believer (and, despite accusations to the contrary, I am not aware of any serious YEC proponent who does), I do think it is a significant doctrine that merits bold and firm affirmation and propagation. Thank you very much for taking the time to write this. I really appreciated it, as I’m sure others do as well. Where does Taylor argue that “people should not hold too dogmatically to YEC since it is not a direct statement of Scripture but a matter of deduction”? Great article and dead on Ben. Here is what concerns me the most from those that oppose YEC views. Their justification denies critical doctrines that are foundational to all other Reformed thoughts in the area of God’s revelation. Reformed thought teaches two revelations 1) Special revelation 2) General revelation. General revelation OR Natural revelation is subservient to Special revelation. In other words, we cannot know the God of the Bible by seeing a rock or the sky and the birth of a child. Natural revelation only tells us there is “A GOD”. Man must have Special Revelation (Scripture) in order to know the God of the Bible. This is foundation teaching with all Reformed Theologians and most non-Reformed yet protestant theologians would agree I would think. Special revelation supersedes Natural revelation. Now when we come to creation week, for some reason, some want to turn the tables and claim we should trust Natural revelation above Special revelation. WHY? There is no reason to flip-flop unless you have placed a higher source of truth above what we read in the Bible. I’m fine with listening to arguments opposing my views and will gladly change my views if wrong. But faulty epistemological reasons should be challenged. 2)	“What is the foundation as to why day should mean age inside the text of Scripture?” Now I’m not asking for justification in how “day” can mean “age”. I will grant you this point. But..I’m asking why “day” should be anything but “day”. To answer this they will always go outside of Scripture. This is my concern. Ben, Taylor states “Contrary to what is often implied or claimed by young-earth creationists, the Bible nowhere directly teaches the age of the earth” in the 2nd paragraph of his piece. Justin does not state “…people should not hold too dogmatically to YEC since….” and the author of this response (Ben Edwards) did not state that Justin said that. Rather it was the implication of Justin’s piece. Does the Bible teach geocentrism? Does the Bible teach that the Earth is the center of the universe?” My answer is no. There is no “goto” passage as we have with the creation account where we are told that the Earth is at the center of the universe. Genesis 1:14-18, Psalm 104:5, Job 26:7 and Isaiah 40:22 were often cited to support the geocentric. Yet none of these Scriptures, state that God designed the universe with Earth at its center. Call me crazy but I still believe Scripture, not science, is the ultimate test of all truth. Nothing close to this statement…”And there was evening and there was morning, the first day”. Why not just believe that? Science is limited more than many want to admit. While science is a very helpful tool telling man how to best use God’s creation, you must understand that science doesn’t “prove” theories. Scientific measurements can only disprove theories or be consistent with them. HOWEVER, Any theory that is consistent with measurements could be disproved by a future measurement. 1) Before 1929 there was no such thing as Pluto the planet. After 1930 Pluto was said to be our 9th planet in line with our sun. Starting in the 1970s there were questions to the size and space of Pluto to other planets and in 2006 Pluto was removed from the nine planet list. When of the three times was science right? Well all of the times. when they did not know, when they know and labeled Pluto a planet, and when they know and did not label Pluto a planet. BUT, science cannot prove truth. Science changes, because what is measured changes too. Moreover, we have the problem of interpretation. The 1st step in fact finding is input of data. Raw data tells us nothing. Using scientific reductionism the human eye takes in data of only light rays. But you look and see a red ball. There must be interpretation of the light rays to know you are looking at a ball. This requires your mind to know the attributes and appearances of these objects before you observe them. In other words, you must know what a red ball is to know you have seen a red ball. When it comes to language it is impossible for a person to learn the meaning of a word by collecting data through the eyes alone . If you look at a Chinese book and you have never seen Chinese before, you will not know what is written unless someone helps in interpretation. You may not even know it’s a language if you have never seen it before and you have no one there to tell you what it is. A person does not know the FACTS without interpretation. If we know it is a rock then it also means we carry with us a presupposition of knowledge of raw data that looks like a rock that has already been interpreted sometime in our past. This is why those that hold to an evolutionist driven old earth system can look at the earths strata and see billions of years and a YEC can look at the same strata and see a world wide flood. All of us use data to support what we already believe. And we tend to believe systems that we place greater value on. “Contrary to what is often implied or claimed by young-earth creationists, the Bible nowhere directly teaches the age of the earth. It sounds like you’ve concluded that Taylor is either unaware of the nature of orthodox conclusions regarding the Trinity, or he’s deliberately and somewhat deceitfully treating this issue differently, or he simply uses incoherent logic. As I’m reading your summary of how you see him making an argument against dogmatism—an argument he never actually articulates—I think it’s far more likely that he’s simply pointing out that YEC is nowhere specifically asserted in the Bible. His strategy is to try (right or wrong) to knock down some of the arguments that underpin YEC conclusions. That’s the only way to argue against YEC, because it’s not as simple as debating the exegesis of one particular passage in Genesis. Or you may be right. I’d be curious whether you think he’s unaware, incoherent, or deceptive. Is rejecting geocentrism a placing of a higher source of truth above what we read in the Bible? I don’t see why natural revelation shouldn’t spur us to reexamine our interpretation of special revelation. The historical weight behind YEC is similar to the historical weight behind geocentrism at one time (Luther and Calvin like most of their day rejected Copernicus’ views as an attack on the primacy of the Bible). Ultimately it comes down to what the text actually asserts (directly or from valid inferences). Bob, we have no trouble suggesting that natural revelation and the sciences can help us decide between two or more legitimate exegetical options. So for instance the reading of Ecclesiastes 1:5 as a use of the language of appearance is not a real problem for me. This is a recognized and common rhetorical device; indeed, I suspect that we both have spoken of a ‘sunset’ or a ‘sunrise’ before without feeling a need to explain our words–it’s a normal use of language. But what is being suggested of Genesis 1 in the framework hypothesis is far from normal–it is the invention of a hermeneutical theory that has not been heretofore considered. If I go away from my home for a week and leave my sons instructions on what to do the first day (morning and evening), then the second day (morning and evening), then the third day (morning and evening), and so forth, I do not think it would be at all normal for my kids to understand me as establishing a timeless framework of forming and filling with an eternal Saturday. That hermeneutical option just isn’t available for a normal language-user. “I won’t address the arguments themselves…” See, that’s the problem – Christians who want so badly for something to be in Scripture that they write it in without addressing what is, and is not, clearly there. They claim the Bible is the final authority for all discussion – until it ceases to be convenient, then they get out their pens and sharpies, and go to work. Simply put, the Bible doesn’t purport a creation comprised of six 24 hour periods – it’s not there. The other doctrines to which this author attempts to make analogy are properly deduced from scripture. Belief in the Trinity is firmly rooted in clear statements that Jesus, the Father, and the Holy Spirit are one and the same, yet also distinct. It’s a mystery, but it’s there. The guilt by associaton argument he raises, attempting to link people who are honest about the Bible with Darwin, is simply a logically fallacious smoke and mirrors routine. He won’t address the arguments actually presented, but he’ll take time to disparage great theologians by associating them with evolutionary theory. Creation is a mystery. Yes, God did it, and He did it in six periods in a specific order. But the simple truth is that the word “day” is employed before the means by which we measure “day” were even in place. God is clear in Scripture where He wants to be, and we’re left to trust Him with the rest. I’d rather we just admit it when we don’t have an answer. As an aside, evolutionary theory stands in testament to how far people will go to deny God. In undergrad I approached the study of evolution willing to accept it as some piece of – or all – the explanation for creation. Weeks later I couldn’t help but shake my head and laugh as I encountered strained and tortured explanations piled on top of strained and tortured explanations that relied upon the belief that if they could just prove there was some sliver of a chance that something could happen, that eventually it would, and those slivers account for the wonder and order we see in the earth. Evolutionists offer no explanation for the origin and variety of life, they just give atheists something to which they can grit their teeth, close their eyes, and cling so they can deny God and claim intellectual honesty in doing so. Christians need not behave the same way. 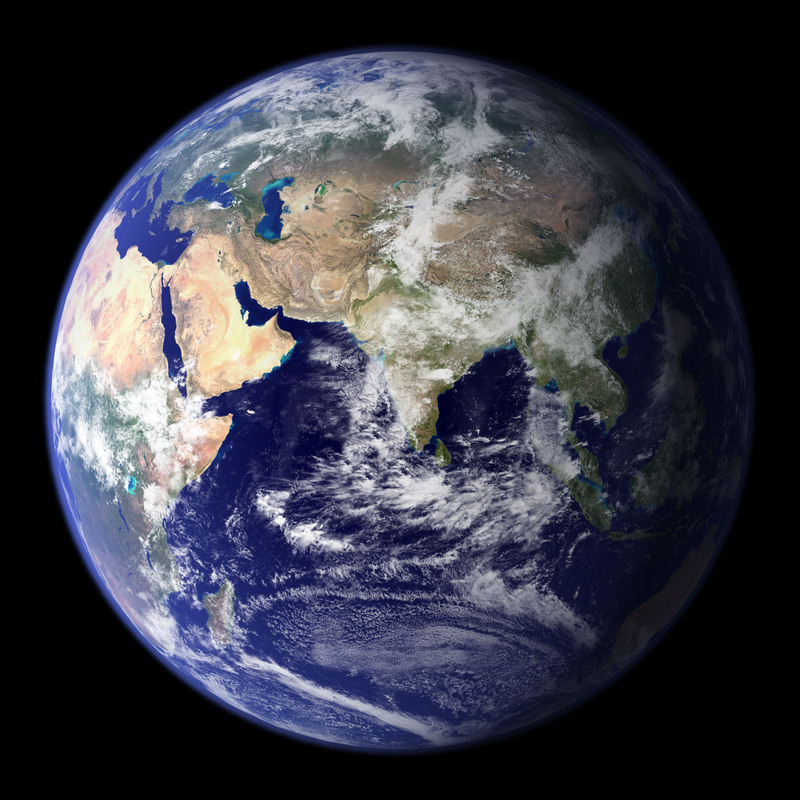 The earth is not 6000 years old; we don’t have a way to place a linear value on its creation. We have the details we do need. Mark – that is the locus of the debate, for sure. Now the debate doesn’t stand or fall on framework theory. Since from the very beginning of the 1800s (and earlier) other theories were advocated as theologians were grappling with the evidenc for an old earth even then. The discoveries of ancient Near East mythologies and other writings, give us greater insight into the world of Scripture. The genre of Genesis 1-3 is an important question, whererever you fall on the debate. Granted, the Framework Hypothesis is not the only option, but it is the current rage, and it is pouring out of the seams of Taylor’s argument, so that’s why I referenced it. Genre is indeed the issue, and if the rhetorical features of anything other than plain narrative in Genesis 1 were evident, I’d be all over it. But they just aren’t. As for bringing the ANE myth genre into the picture, I am quite unenthusiastic. It seems at this point we have pretty much jettisoned inerrancy entirely. Even if, as you say, he mentions the fact that YEC is not a direct statement in Scripture but a deduction is to knock down YEC arguments, I think my response would be the same. I’m not going to get into any parsing the underlying explanation for why he wrote that part (we can’t know anyway). I’m going to deal with what he’s written, and in response to that portion of his post I think his argument is mistaken (or wrong/flawed). (Is it still ok to say you think someone made a poor argument, or does that mean you are accusing them of being ignorant, incoherent, or deceitful now?) I don’t think most YEC people are claiming it’s a direct statement from Scripture (and I’ve read quite a bit of the material), and it doesn’t really matter whether it’s a direct statement or not. Why even bring it up? It doesn’t refute any argument put forward by YEC, so it would not accomplish what you say he’s trying to do either. Consider this: Someone writes a post entitled “Biblical Reasons to Doubt Calvinism” and towards the beginning says “Despite what many Calvinists seem to imply or claim, Calvinism is never directly taught in Scripture. Rather, it is a deduction from a combination of beliefs. I think this is helpful to recognize. I’m afraid some Calvinists are acting as if not affirming reformed soteriology undermines the glory of God.” Would it be wrong to respond the way I have here? Do you think he’s making a valid argument in the portion under discussion? If so, could you reword it according to your understanding and explain what it is accomplishing? I’m arguing that he made the point about YEC being a deduction so people would understand the relevance of the 5 points he was about to make. And I’m making that point because it’s based on a logical progression in his post, not on something I think he meant, but that he never said. You’re right that he doesn’t think people should hold too dogmatically to YEC. You’re wrong about his reason. The evidence that he offers is exegetical. You may disagree with his exegesis, but that’s the nature of his argument. You raised lots of other issues that I’d love to interact on, but I’m not sure it’d be worthwhile if we still disagree on what I just wrote. FWIW, this issue came up in a class yesterday morning at my church. I explained that I’m strongly inclined towards 24 hour days for exegetical reasons. I wasn’t dogmatic about it—not because that view emerges from a logical deduction, but because I don’t find the exegetical arguments of either view to be decisively persuasive. 2. The arguments have been addressed multiple times already, so there was no need for me to rehash the biblical responses. Instead, I chose to link to two extensive and biblical journal articles that addressed the topics. Did you read those, or did you post without dealing with those arguments first, even though you claim to see the Bible as your final authority? As to accusing me of attempting guilt by association, I was not the one who mentioned Darwin and the scholars–Taylor was. I was simply interacting with the people he brought up (in fact, I expressly distanced those more solidly biblical men from others who have made more serious errors.) Perhaps you might benefit from approaching differing opinions more charitably. His opening discussion of direct statement vs. deduction is about YEC, while his argument is about offering reasons “for questioning the exegesis that insists on the days as strict 24 hour periods.”Thus, there is no clear logical progression to talk about how YEC is a deduction of 5 points to his textual arguments against 24 hour days. Unless your are seeing a logical progression on the basis of what you think he meant and not on what he said, since he never states why he shifts from YEC to 24 hour days (e.g., there are no connecting words between those paragraphs and the following ones). While he touches on the first two of the 5 points from which YEC is deduced, he really only focuses on the 3rd and never again addresses the last 2. (again, making bringing up the fact that YEC is deduced from five points irrelevant to the only argument you claim he is making. I don’t need to know how people arrive at YEC conclusions in order to follow an exegetical argument about Gen 1-2). So if he’s not pointing out the direct statement vs. deduction as part of his argument to not “insist” on 24 hour days or to be willing to question “any aspect of young-earth dogmatics” I fail to see why he brings it up. I do think the bulk of his argument is that there are exegetical reasons to doubt 24 hour days, but if that’s the only argument I struggle to see the relevance of his earlier paragraphs, because they do not simply or logically lead only to his exegetical arguments. They do seem to fit very well in the overall argument he’s making though. I’d be interested in hearing your interaction on other issues. I don’t know why a failure to see eye to eye on this matter precludes other discussion. Perhaps it would be good to point out (as I thought I indicated in the post) that there are different levels of dogmatism for different kinds of beliefs. I would not be as dogmatic about YEC as I would be about the Trinity, but I think I would be about as dogmatic for YEC as I would be for complementarianism. Sorry for the typos in the last response. After posting it I think I’d like to boil it down to this question (I pointed it out in my last comment, but want to highlight it here): Why does Taylor say that it is “helpful” to understand that the age of the earth is formed on the basis of deduction and not direct statement? Why is it helpful? Thanks for that distillation. It’s helpful! Thank you so much Mark and Ben. I must admit that I’ve been a bit surprised how the folks in our pews are aware of this debate and are so encouraged by the reassurance of the YEC arguments as detailed in your blog. I know that not all of the blog topics are of interest to our people in the pew, but this one certainly is. It is so important that we as pastors are conversant with these points. Thank you for your service to the church. Ok. I think I understand what you are saying now, but I still think my reading matches better with the post (perhaps because I don’t think most YEC people would be confused by offering exegetical arguments against 24 hour days in Gen 1–I find that they are used to hearing those kinds of arguments). Hey, you may be right. I simply think it’s far more likely that it’s related to the argument he explicitly articulates, not one he doesn’t. Nothing to add on the other stuff. I have one correction that actually helps strengthen your argument. In fact, although people claim that some of the early church fathers interpreted Scripture allegorically, that is only partly true. It would be more accurate to say that they believed Scripture had multiple senses, which included both literal and non-literal senses. For instance, take just the three church fathers most cited as being allegorical interpreters, Clement of Alexandria, Origen and Augustine. Clement (in Stromata, Book 1, Chapter 21) calculated the age of the earth at 5,592 years. Origen (generally noted as the most allegorical of the church fathers) wrote that Moses’ account of creation “teaches that the world is not yet ten thousand years old, but very much under that” (Against Celsus, Book 1, Chapter 19). And, although Augustine rejected the idea that there were six literal 24-hour days of creation, that was not because he thought the earth was old as he wrote that those who argued the earth was older were “deceived” since “reckoning by the sacred writings, we find that not 6,000 years have yet passed.” (City of God, Book 12, Chapter 10). Other pre-18th century writers explicitly mentioning the earth as less than 6,000 years old include the Epistle of Baranabas (at 15.4), Irenaeus (“Against Heresies”, Book 5, Chapters 26 and 28), Theophilus of Antioch (“Theophylus to Autolycus” Book 3, Chapters 26 and 28), Hippolytus of Rome (“Commentary on Daniel” at 2:4), Lactantius (“Institutes” 7:14), Victorinus (“On the Creation of the World”), Basil of Caesarea (“Hexaemeron” 2:8), Ephraem of Syria (“Nisibene Hymns” 65:3). There are a number in the Middle Ages the references to which I do not have at my finger tips, but from the Reformation era, there are Martin Luther, Melancthon, John Calvin (Institutes 1.14.1 and 2), Peter Martyr (Commentary on Genesis), and Samuel Rutherford (Letters, pp. 527 and 634) to name just a few.